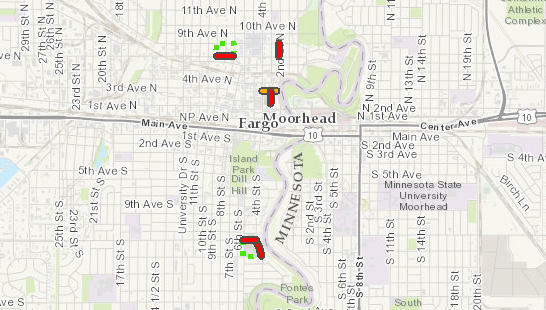 Click the interactive map to view and learn more about current road closures, construction zones and detour routes. Contact FargoStreets for more information. 7:45 a.m. — 4:30 p.m.